GAOMON > FAQ > How to Connect PD1560 to Computer Correctly? How to Connect PD1560 to Computer Correctly? You might be confused by the 5 connectors of the cable of PD1560 when connecting PD1560 to your computer. The ways to connect PD1560 to a laptop and a desktop are different. When connecting to a desktop, you should not plug the HDMI connector into the port of the motherboard on your computer; while connecting to a laptop, you may need to buy an HDMI converter for a Mac or Windows. This article will tell you how to connect them correctly. General knowledge of the cables. Difference between the old cable and the new one. There are five connectors of the cables, which have been marked as 1, 2, 3, 4, 5 respectively. The 1, 2, and 3 are attached together and should be plugged into the ports on the computer, except number 1 connector which should be connected to a power adaptor. The 4 and 5 connectors are in one and should be plugged into the ports on PD1560. 3: it is a power connector which should plug into the power adaptor. There are two version cables of PD1560: the new; the old. When you are using a desktop computer, please note that the number 1 connector, standard HDMI connector (type A) should connect to the HDMI socket of the graphics card (in Area B), not that of the mainboard (in Area A). Below is the rear of a computer, just for an example. Area A is where the motherboard is. There often is a big fan beside the motherboard. 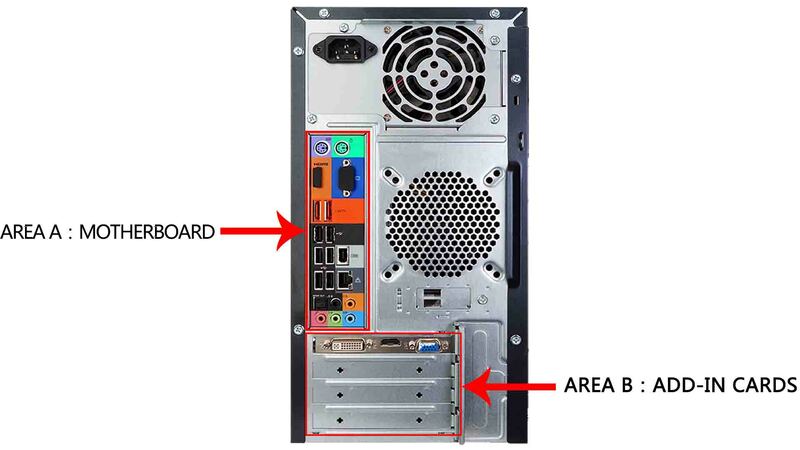 Area B is where the graphics card is. If you don’t have a graphics card installed, then you can plug the HDMI connector of Pd1560 into the HDMI port of the mainboard. 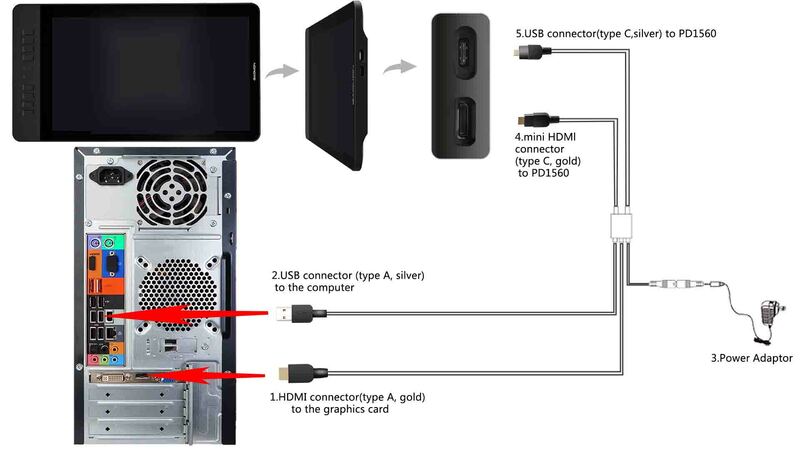 The below picture shows how to connect the PD1560 to a desktop. 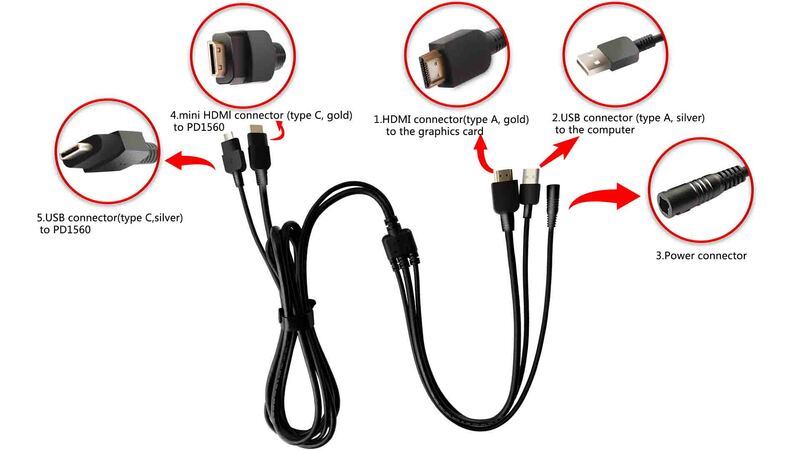 When you are using a laptop, you may buy HDMI converters to convert the HDMI connector of PD1560 according to your computer. Please purchase those with good quality. Because of the bad quality of a converter will cause problems. 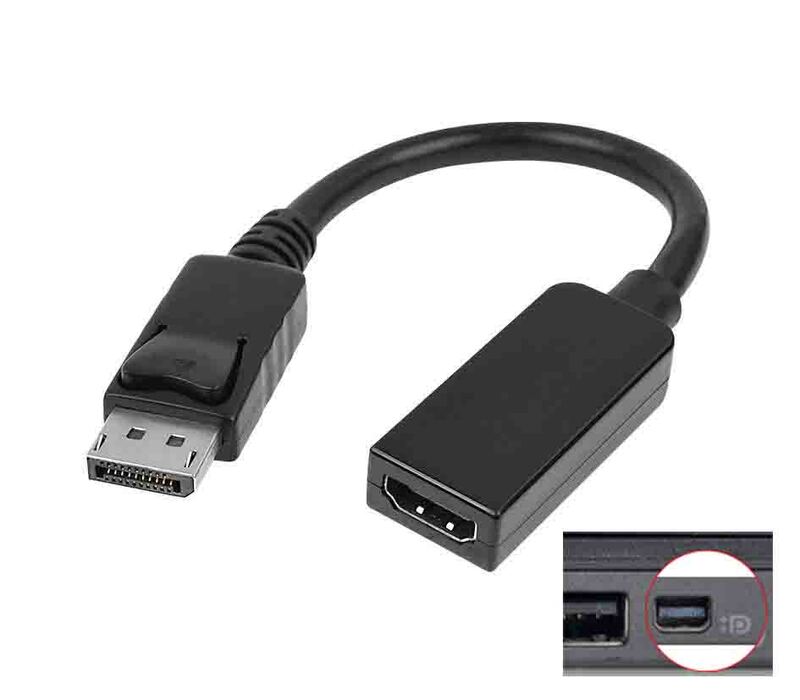 Here takes Lenovo ThinkPad as an example, you should buy a DP to female HDMI converter, shown as below. 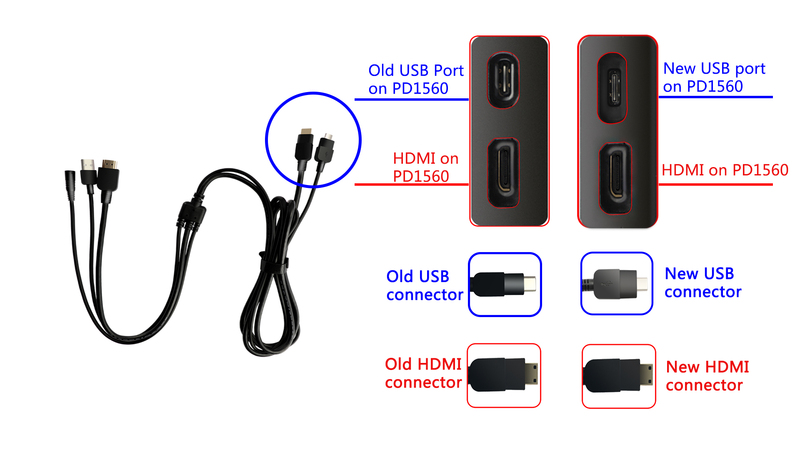 Plug the number 1 connector (the standard HDMI of PD1560) to the converter. 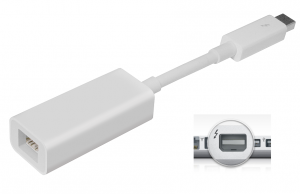 When you are using a Mac laptop, here takes MacBook Air as an example, you can buy a Thunderbolt to HDMI converter. Any questions on connection, please feel free to contact us. We’re always here for you. You can submit your question from here: GAOMON SUPPORT TEAM. How to Fix the ‘Device Disconnected’ of PD1560? if I am using laptop, is Laptop used only to download the program or it is needed even when using the PD1560? hi Sam, my colleague will contact via an email later to help you. please check your inbox. Thanks for your support. I have a 27″ iMac, Late 2013, running Mojave 10.14.2. I should be able to use the tablet with this computer and operating system yes? I just need an HDMI to Thunderbolt adapter? I’m using a Mac computer not a laptop, and I can’t seem to connect it to the tablet. Help?? Hi Bella, our support team will contact you later through email. please kindly check your email box. Thanks!